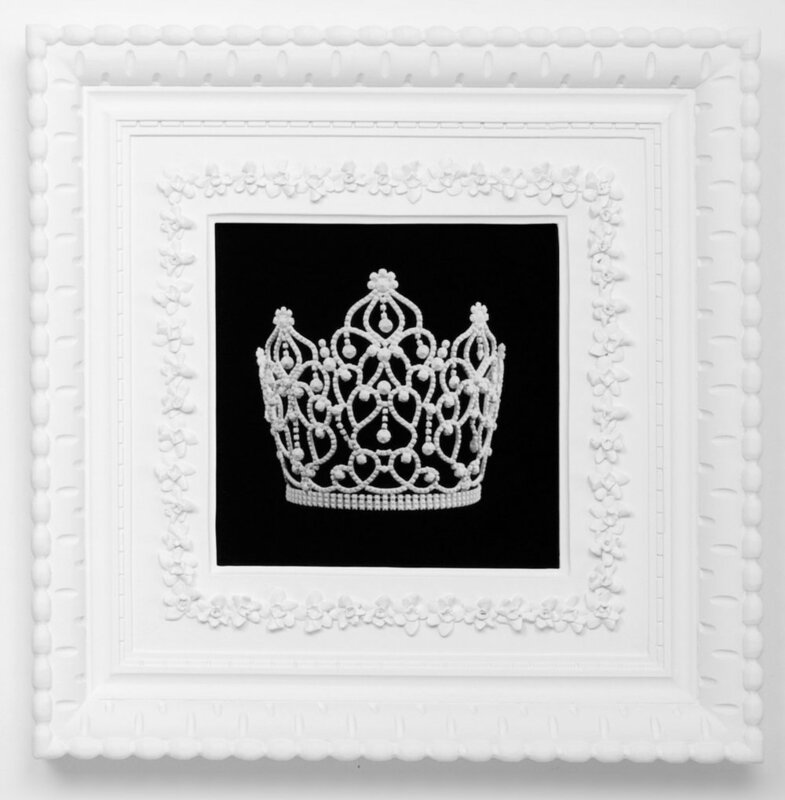 Hovnanian’s Small Dream Crowns series presents rhinestone tiaras that have their own unique iconographic power, appearing much like religious idols in the artist’s Royal Icing frames. The Small Dream Crowns seem at once weightless in their dream-like state and impressively large, rising in layers of scalloping and loops. They border between charming naivete and intense desire. The beauty queen crowns are symbolic of a lifelong commitment to the rivalry of competition and the race to victory.